NOTE: The units pictured above are an example of what we can do to improve your existing units. Mobile Teaching Stations have been a 'must have' resource for Early Literacy and Early learning programs in primary schools. Now schools are purchasing stations for their middle and upper school classes as well. 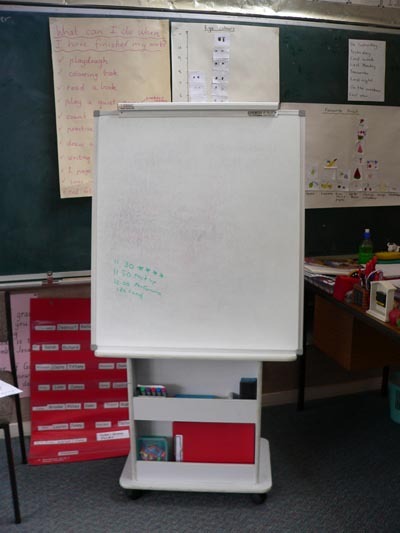 After getting feedback from teachers, we have designed a unit that is by far the most practical on the market. 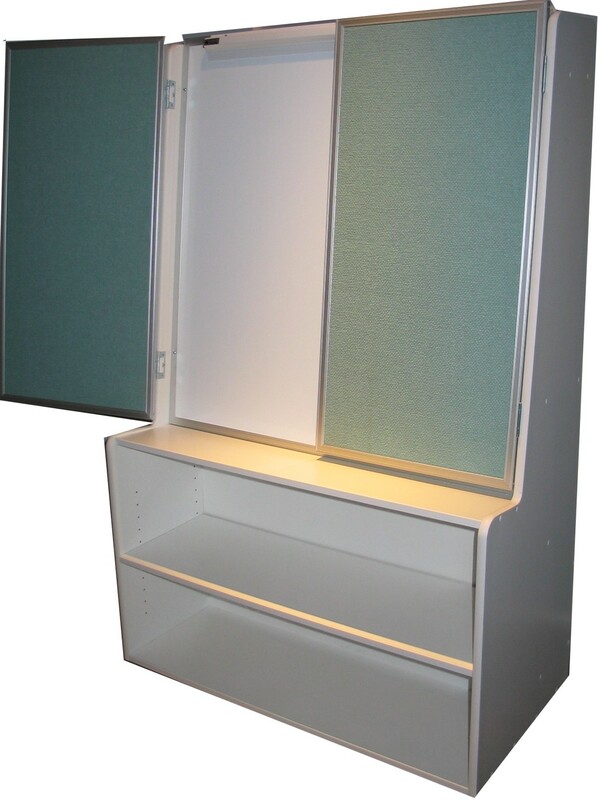 No other unit has pinboards attached, enabling you to have either more whiteboard space or more display space depending on your individual requirements. 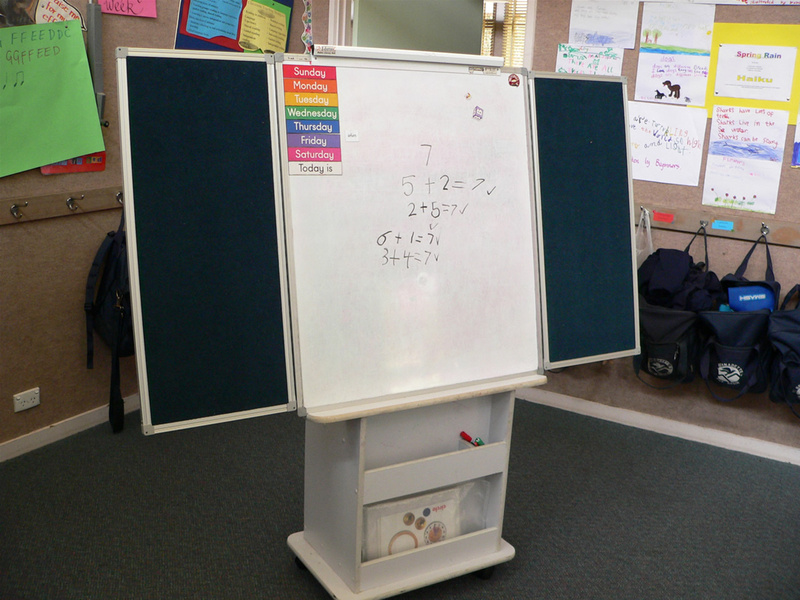 NOTE: The doors are double sided and while most schools prefer to have the velcro holding pinnable fabric on both sides, if you prefer, and for no extra cost, you can replace one side with whiteboard instead to give you even more whiteboard space on your unit. Even if your school already has some existing units that don't have doors attached, we can upgrade your existing stations so all teachers in your school can benefit from having task management doors as well. 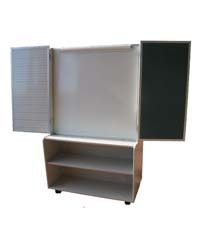 We can add doors to nearly all makes and models and of course we can add the doors to our own Standard Mobile Teaching Stations at a later date if you change your mind.